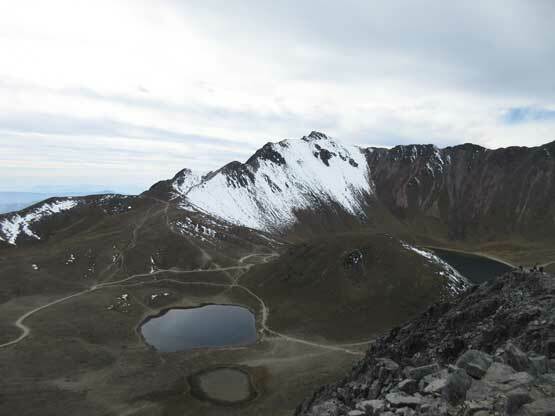 Pico de Humboldt is rather just a sub-summit of the massif of Nevado de Toluca in central Mexico. 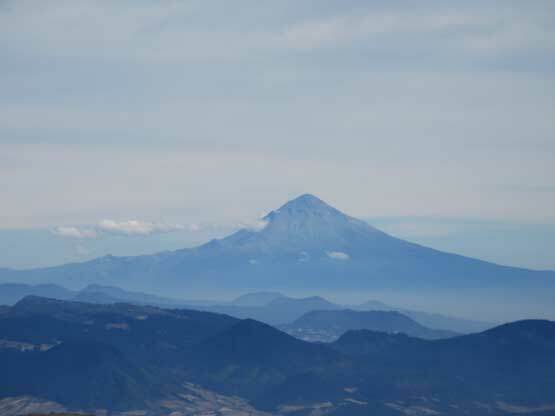 It’s part of the ancient rim of the volcano and offers virtually zero mountaineering interest. 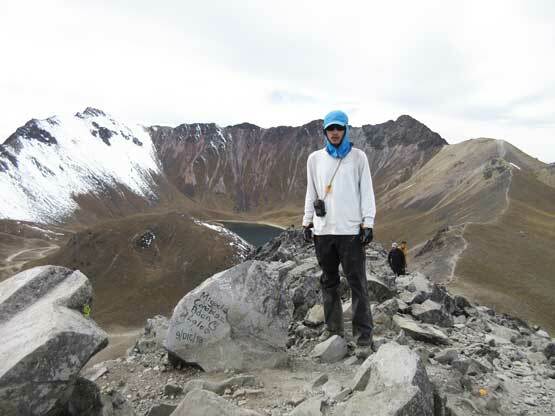 However, it does boast over 400 feet of prominence making it legitimate to qualify as a separate summit, making it the 37th highest in North America. This fact was discovered by John Stolk and Adam Walker (Gimplator) a couple years ago. 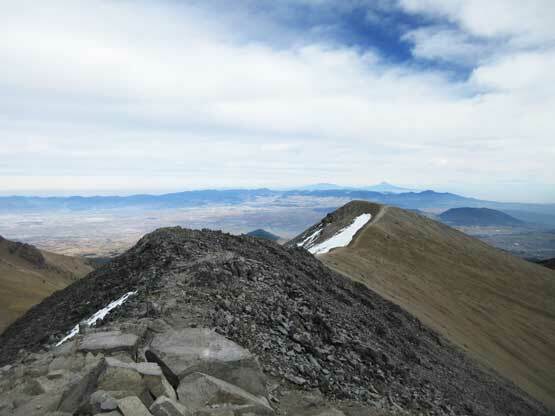 The elevation of the key saddle as well as the summit was remeasured the status was confirmed. 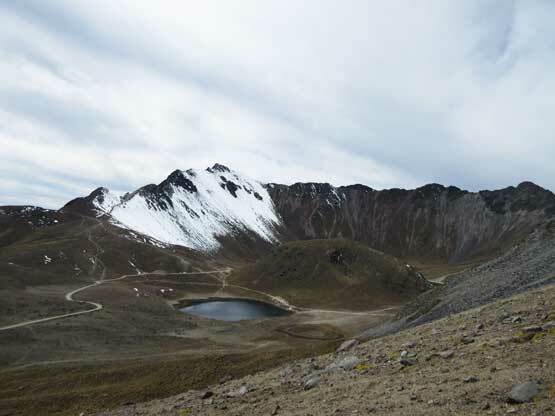 I was aware of this discovery before paying a visit to Nevado de Toluca and for the sake of this reason I had no excuse to skip Pico de Humboldt. 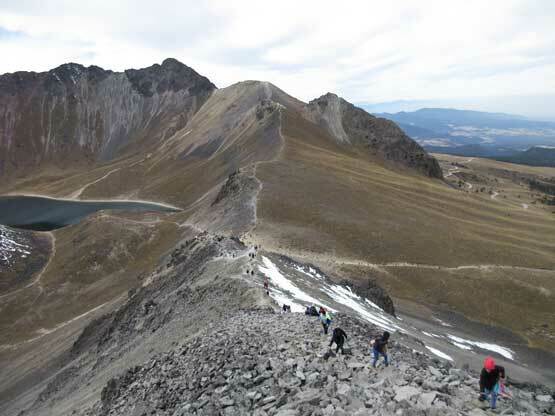 On the other hand, the summit of Pico de Humboldt is much often ascended by the locals than Nevado de Toluca because it’s literally a “hike” to get here. 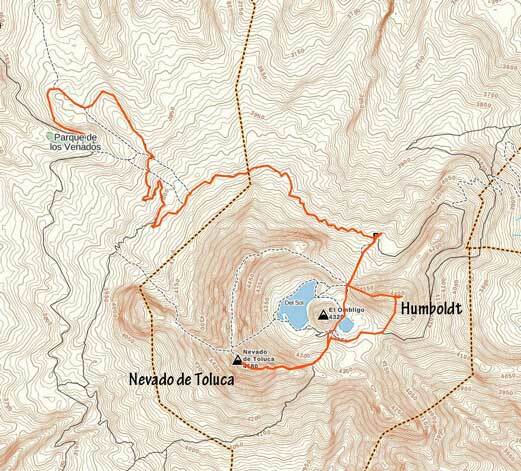 The full story is written in my Nevado de Toluca’s trip report, while here I’m only focusing on the side-trip. 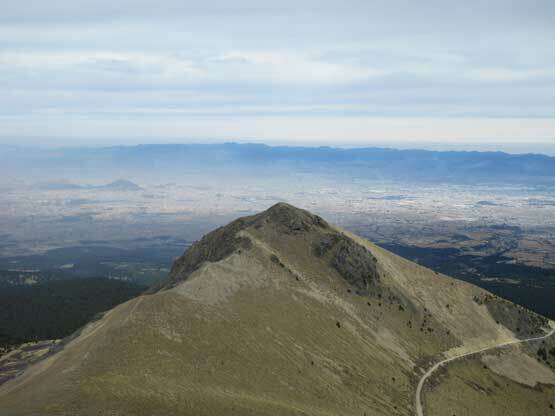 Ascents of Nevado de Toluca and Pico de Humboldt. There’s literally not much worth documenting about this ascent other than it’s more boring than one might expect. 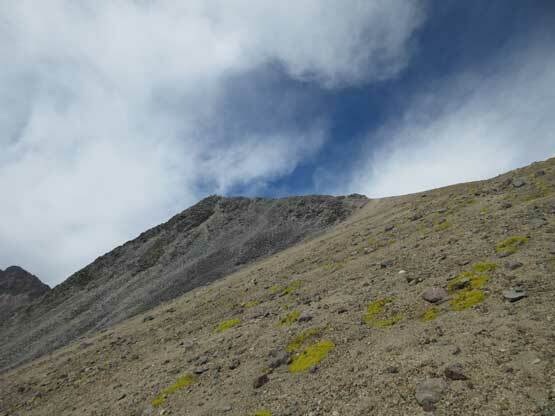 I on purposely chose to bag it as part of a loop traverse by firstly ascending the sandy south slopes. This stretch was cross-country travel on grassy and sandy, but low-angled terrain. The elevation gain was around 200 m so it’s longer than I thought. I checked out the lower east summit before tagging the true summit, where I joined the hordes of tourists. The descent down the west ridge was very crowded and the terrain involved some boulder-hopping. Partial Panorama from the lower east summit. 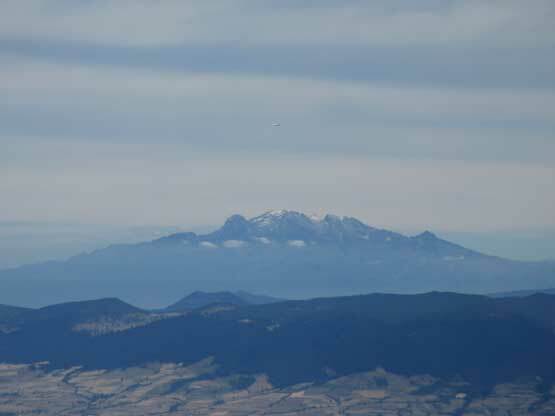 Click to view large size. 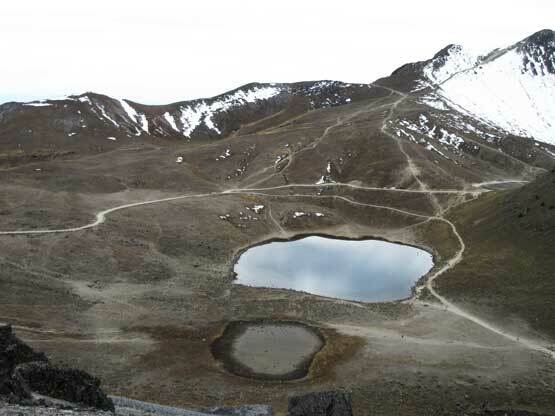 Laguna de la Luna from the descent.